Realme 3 Pro is expected to launch this month in India. Before being officially launched, Realy Brand CEO Madhav Sheth has released a new phone teaser. Realme 3 Pro is expected to launch this month in India. Before being officially launched, Realy Brand CEO Madhav Sheth has released a new phone teaser. The company's official has shared select photos taken from Realme 3 Pro's camera. Last month, Realme announced this phone as a challenge to the Redmi Note 7 Pro in the market. Probably this excuse the company was also pointing to the 48-megapixel camera sensor in the phone. Madhav Sheth shared three Realme 3 Pro's three camera samples on his Twitter account. One of the self-camera cameras has been shown, while the other two have rear camera setup. Remember that Realme gave information about Realme 3 Pro while launching Reality 3 in India last month. The new phone was talked about as a challenge for the Redmi Note 7 Pro. It is expected to be launched by the end of the month. 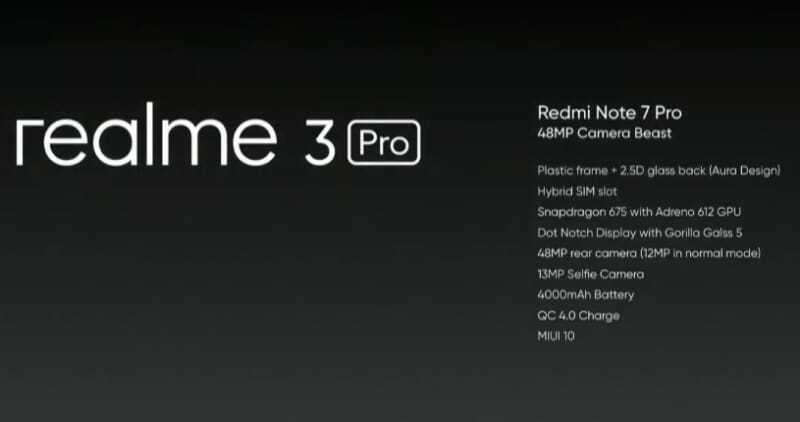 During the official announcement, Realme 3 Pro was claimed to have a 48-megapixel primary camera. In order to challenge Redmi Note 7 Pro, this phone is reported to have a 25 megapixel selfie camera.